Bill Oakes was a loved and celebrated artist, illustrator, art educator, inventor, children’s book author, publisher, and community activist. He held a Master’s Degree in Critical and Creative Thinking from the University of Massachusetts in Boston where he taught several creativity courses. Earlier in his career, he was an art instructor at the New England School of Art & Design and at the Art Institute in Boston. 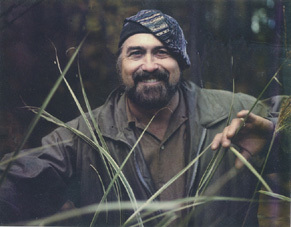 He has been listed in Who’s Who in Art in America, since 1980. Bill did numerous illustrations for The Franklin Library, "Time Magazine," "National Geographic," "Reader’s Digest," "American Magazine," "Yankee Magazine," The Washington Post, The Christian Science Monitor ABC News and CBS News. He was a courtroom artist for the historic Watergate hearings. He illustrated numerous books, magazines, and a record album as well as his own art instruction manuals and children's books. The Ford Foundation and the Franklin Mint in New York City include Bill’s art in their collections. He has one of the largest portfolios of documentary art housed in The Navy Art Collection in Washington, D.C.
Bill always had a love of adventure both in this world and in thinking about other worlds. One night, with a flashlight in hand, he was out among pieces of steel he was going to use for sculptures. He got excited about one piece in particular; when the flashlight moved across the steel, it looked like a moonscape. He was inspired to began a five year exploration of paintings and constructions depicting imaginary planetary surfaces. From these paintings Bill put together a multi-media exhibit, “Life Signs: Other Worlds, Other Voices.” Many of the paintings had individualized and correlated sound environments. Using infrared technology and cordless headsets viewers were transported on a trip through the universe. Hovering above fascinating aerial views of imaginary civilizations, they saw and heard hints of life on other planets. This exhibit was on display at the Museum of Science in Boston during a Cyber Arts Festival. Following this group of paintings, Bill conceived of his “Fauxtography” series – imagining what it would look like if you landed on some of these planets (see “Fauxtography from Space” gallery). Then he got much joy and inspiration experimenting with digital photography (see “Photography” gallery). Bill was prolific. We have hundreds of paintings, sketches and photographs. Another of Bill’s great passions was nurturing creativity and inquisitiveness in children and adults. He did this through his own great enthusiasm for life, through his art and books, and by conducting numerous workshops and art classes. Bill passed on in October 2005. We trust he’s doing and seeing glorious things elsewhere.